Looking for the perfect opportunity to take your career to the next level? PRSA Austin Chapter is the premiere spot to find public relations industry jobs openings in the Austin-area. Employers rely on PRSA Austin Chapter's job and internship listings to scout out the talented, assertive go-getters that make up our membership. Join PRSA Austin Chapter today to receive exclusive benefits, including discounts on job postings, event registration and more! Email [email protected] for more information or join PRSA now. Post your job opening with PRSA Austin and reach hundreds of qualified leads! Find your next star employee by listing your job or internship for a 60-day period. Fees are nominal (PRSA members get a discount!) and several options are available. The fees paid by employers are invested in career development programs and activities for PRSA members and non-members alike. Please note our new prices effective January 30, 2019. Post your job opening now! Please note, you will be directed to log in. 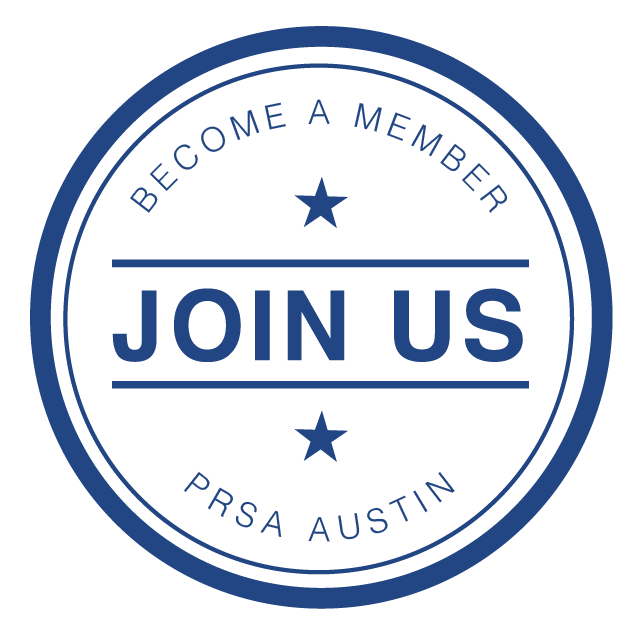 *Join PRSA Austin Chapter today to receive exclusive benefits, including discounts on job postings, event registration and more! Email [email protected] for more information or join PRSA now. **Become a sponsor today! Email [email protected] for more information. For questions or to report issues with the form, email [email protected].